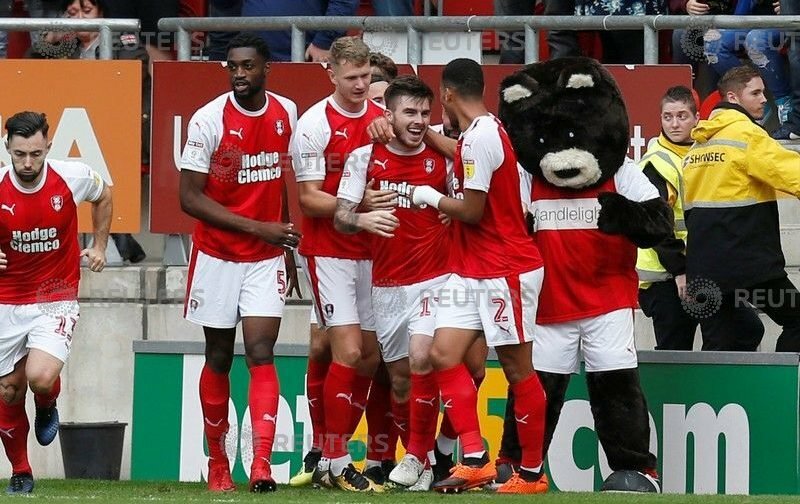 Rotherham United got their third home draw on the trot this afternoon when Bolton Wanderers were the visitors to the New York Stadium. Jon Taylor was announced as the Sponsors Man of the Match at the ground which got a murmur of agreement around us and I thought Tayls have a very good second half and hope we aren’t adding him to the injury list as he had to leave the pitch early after treatment. I also thought Michael Smith had another good game. Yes, he missed one, maybe two sitters, but at least he was in the position to have a go. Ryan Williams worked his backside off again despite being knocked from pillar to post. And what a great save from Marek Rodak to keep us in the game from the penalty. But, it’s up to you. What will you score each Millers player out of ten for this afternoon’s one-all draw?